[June 22, 2007] Main Street Lincoln and the Railsplitter Antique Car Club will host "Lincoln's Trail to St. Jude" on Saturday. This event will feature fun activities for the whole family from noon to 9 p.m. in downtown Lincoln. Come and enjoy the "Super Cruise for St. Jude," starting at 5 p.m. and ending at 9 p.m. There will also be live entertainment by the Country Thunder band, beginning at 6 p.m. O'Donohue's Hot Dogs & Soda Fountain will host a bake sale and a silent auction, and the Girl Scouts will also get into the festivities with a car wash at Neal Tire, starting at 11 a.m. The Lincoln Fire Department and the Logan County Paramedic Association will be on hand to promote community awareness during the event. Finally, there will be a 50-50 drawing and a raffle to benefit St. Jude as well. Raffle prizes include a St. Jude quilt and a GPS setup valued at $500. St. Jude Children's Research Hospital is unlike any other treatment and research facility anywhere. The breakthroughs and discoveries made there have changed the way the world treats children with cancer and other illnesses. St. Jude accepts all patients, regardless of the ability to pay for treatment, making it America's third-largest health care charity. All proceeds of Lincoln's Trail to St. Jude will go directly to this research hospital to benefit the numerous children who are treated there. Several other events are fast approaching as well for the Railsplitter Antique Car Club. Coming up on July 7, the car club will host the Lincoln Heritage Days Cruise from 11 a.m. to 3 p.m. The club will have a James Dean look-alike contest on July 28, with prizes for first, second and third place, as well as a car cruise. 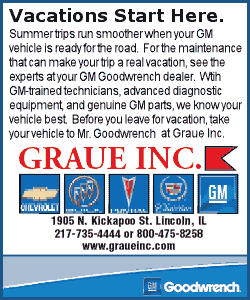 The club will also have its normal cruise-in during the Lincoln Balloon Festival, on Aug. 25. 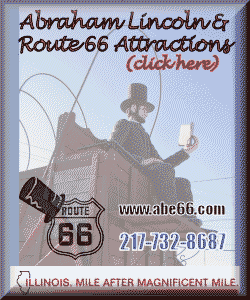 Then, on Sept. 22, the club will have "Elvis Day," with Elvis impersonator Perry Groves, from 7 to 9 p.m.
For more information concerning Lincoln's Trail to St. Jude or other events by the Railsplitter Antique Car Club, contact Jim Loeffler at 217-732-3519 or Dave Dunham at 217-737-5378 or visit www.geocities.com/railauto/index.html.